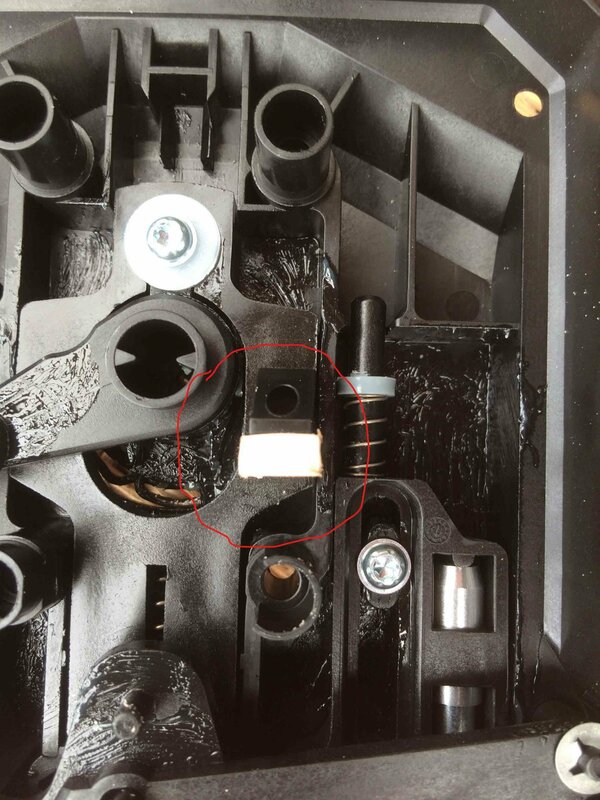 We have a 2018 Challenger Dealer Special and the outer opening flap only releases the inner catch when pulled out to its full travel. This has worsened over a short time. I am aware that very soon it will become inoperative as it fails completely i.e. opening the door is impossible! I contacted the dealer and they have very little or no workshop time for about a month and a half! (We are out next week!) In fairness, I talked to the service manager and he promised to call me tomorrow. If a cupboard knob falls off, life goes on but being effectively locked out of a van whilst touring isn't funny. Has anyone had a similar problem and, more importantly done a DIY fix without having to lug their van on a four hour round trip to a dealer to sort this out? I'm fine with the spanners and tools and would prefer to repair it/replace the lock myself if possible. I believe what you have is a Hartal Evoline door lock, and if so another member has reported a problem where the outer plastic chrome handle has broken. Replacements are available but they are expensive (around £150 for the complete lock) so if it is possible, a repair would be preferable. The outer handle is available separately if that is where the fault is. Personally I would be inclined to investigate myself as it sounds like either there is a misalignment inside the lock, or a component has worn excessively. Either way a repair may be possible. Hartal Evoline outer door lock handle. Just phoned my dealer and they have a lock in stock - so - I will investigate. Do you have any info on dismantling or I'll Google Hartal and see what comes up! Sorry i am using my phone right now. Although the photo is only 3.6mb... the forum is spitting its dummy. I will be upload a photo tomorrow to show where i fitted the shims. Result: my door lock is now working ok... i wont say perfectly because I doubt that it ever could... IMHO its bad design! A new lock (inner and outer) is about £60 on official Bailey site... but this is still cheaper than Ebay. I think "Electric Warrior" has summarised things well. 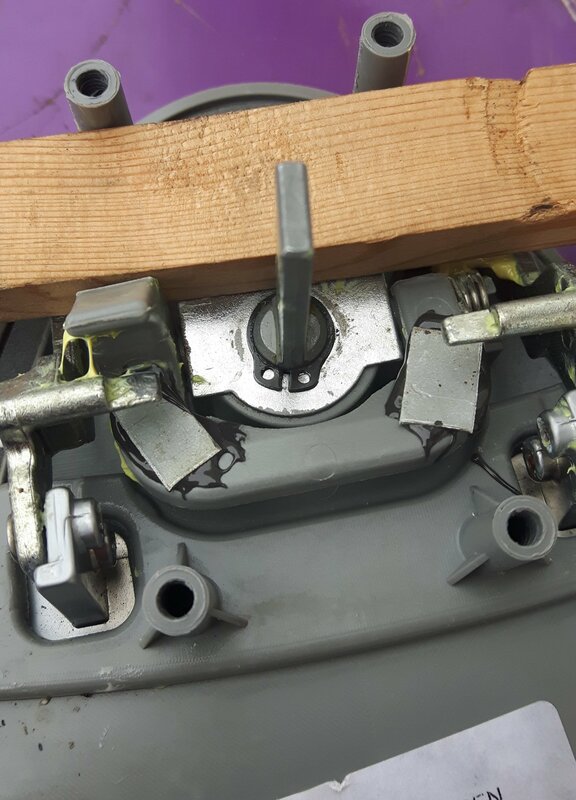 I've not had anything to do with the latest Hartel locks but on the previous design, removal of the four black screws inside is all that was needed to separate the two halves of the lock that clamp through the door. Ok, I'm on a PC now with a real keyboard - and real software! I have reduced the size and orientation of the photo - This is what I did... (see my previous posting about the method). It works fine now.... The "shims" take up the slop with no apparent side effects. The grease smooths the operation. The "purple" background is the top of my "outdoor workbench"... Does anyone else find these flat top wheely bins really useful for outdoor work ? I use mine all the time ! I should try to fit one in my caravan to help with "running repairs"
Only just seen your reply - been away from the van. Cor thanks for the details - I will digest these and act accordingly. Isn't it really disappointing that on our 2018 and 2019 vans they can't design and fit a proper lock that doesn't need DIY repairs and is fit for purpose. I'll get back with progress. I haven't been away in the van since I fixed the lock... but I have been carrying our improvements and repairs since.... and I have been int an out of it many times... and locking it in between... and its working well - much better than before... Yes I agree.. you would think the manufactures would try to get things "right" - but of course if they did that... few of use would buy new vans... it make you think - doesn't it ? My van is December 2009 - The manufactures obviously don't care! They want you to dump the old one in the expectation (hope) that a new van will be better ! The manufactures obviously don't care! They want you to dump the old caravan in the expectation (hope) that a new van will be better ! 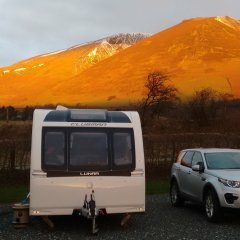 Unfortunately if that was the intention it has backfired, because after many many years of UK caravans I moved to a foreign product in 2010, and although I have replaced our MH again since then, again I did not buy one built in the UK, primarily because of the all too common leaking bodywork issues. Is your van a 2009 or 2019? If you have had 10yrs service from the lock then well done! If only a few months/weeks then I'd better get the tools out! Whatever you do don't use WD40 on any Hartal locks,they told me that. EW wrote December 2009 so unless I overslept this morning by a year, it will be 2009 and not 2019. Our 2011 caravan has a Hartel lock and that has never fully pulled the latch in so the door opens easily. I did file the end of the latch down to help but having read the above posts, maybe it is caused by too much slack in the mechanism. How did you access the screws to remove the lock? Are they behind the large plastic cover (and a smaller oval insert)? 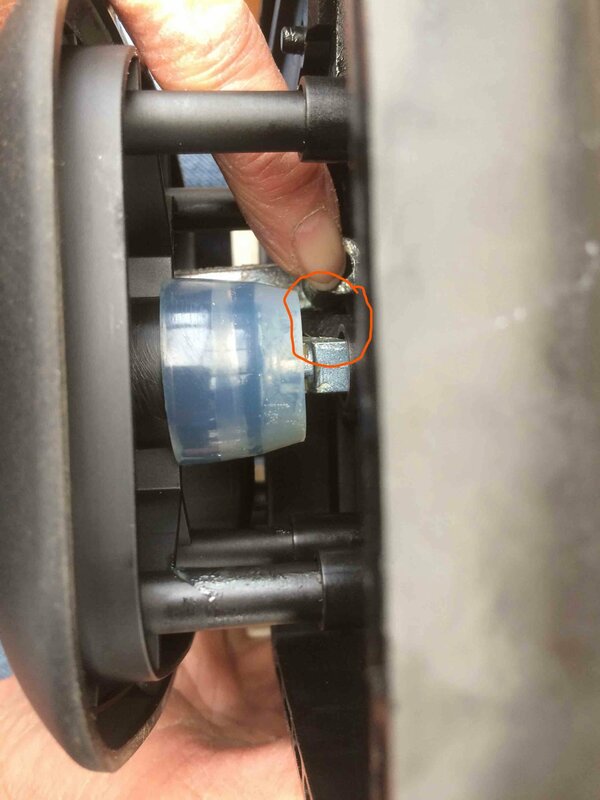 if so is it a 'simple' prize off of these two plastic components to reveal the fittings inside the van? My van is a Bailey Senator (S6) 2009... and I am the 3rd owner - but it doesn't look like it's had all that much use... and had very little additions / modifications (until I got hold of it). Yes, you have the prise the plastic covers off... I had a big "crescent" (or oval) shaped one, near the edge of the door... that was easy... I also had a "red" and a "green"(screwhead sized) cover over the other screws... these were ********* to get off - but they HAVE to come out! For all you out there with sloppy door catches, this might help. 1. Carefully pry out the plastic 'oval' to reveal two screws. Remove these. 3. Remove three screws securing the 'chrome' surround remove and pull off the handle. 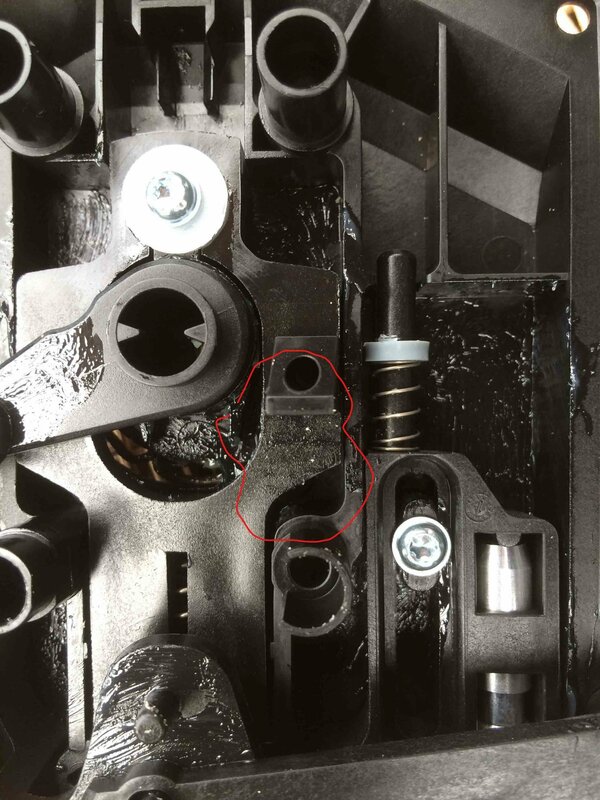 (You will have to reposition the spring inside the plastic lug or the lock wont work on reassembly) .Note its position. 4. Remove 4 screws and lift off the square black lock assembly and the outer handle and seal.. 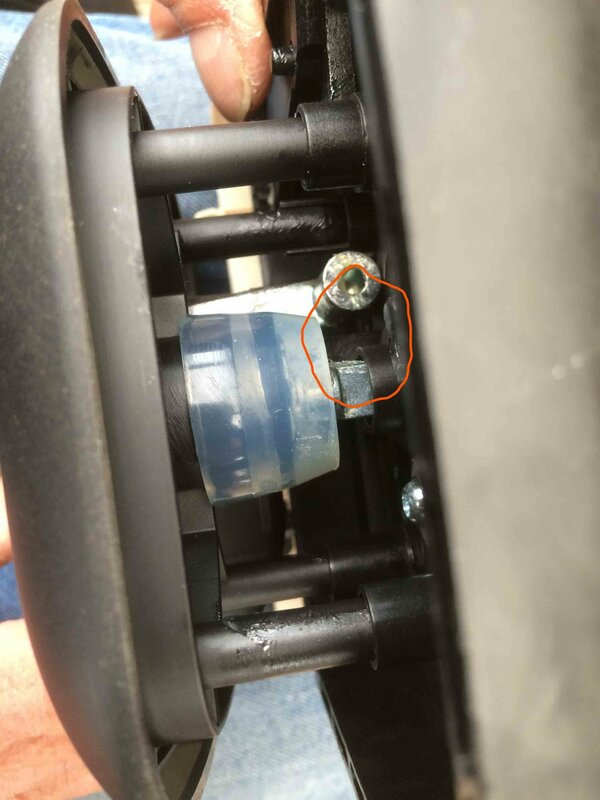 I found that nothing was broken or worn but there was about 1/4 inch of 'slop' between the release roller and the plastic lug which releases the catch. I made a nylon block, attached it with Araldite to the upstand of the lug and checked the play between roller and lug. The roller now contacts the release lug. 5. Reassemble in reverse order and Robert is your Father's brother!! Stripping the lock off on a van that isn't a year old yet does go against the grain, but 4 hours round trip and a day drinking coffee at the dealership versus an hour in the garage knowing full well that you are not left with the same problem is a no brainer really! - AND the production fault is solved with nylon (not plastic) against the release roller! Your assumption that "its just standard plastic " is completely wrong. Plastic used in the caravan industry is anything but standard. It hates WD40 anywhere near it and will swell and completely ruin what may have been salvageable. There is no place for WD40 in any caravan related application. It is NOT a lubricant despite some claims that it is. There are plenty of proper lubricants for specific purposes which should always be used . Anyway, to the point of the OP, the lock is 'fixed' (or upgraded) at no cost other than time spent! Has anyone araldited the pivot in place? That might stop the thing slackening off! !